Video Zip Tips Are Here! 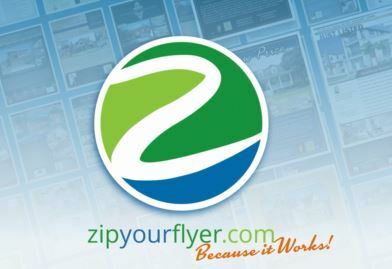 ZipYourFlyer.com is now on YouTube with weekly Video Zip Tips! Zip Your Flyer is now producing helpful animations to aid real estate agents in the use and understanding of our service while providing industry tips and tricks! Best of all, they’re free to view! It’s another way we are here to help our customers be successful. Helping your client stage their home to sell can be costly and tricky to navigate. ZipYourFlyer.com is here to help with these 5 easy and affordable tips. Check out one of our Video Zip Tips below! This is just the latest in our exciting new series of YouTube videos! Check out some of our other Video Zip Tips, such as The 4 Keys to Digital Marketing Every Agent Should Know!, Best Photo Tips Agents Need to Know! and 4 Things to Avoid When Your Listing Hits the MLS! Let us help you make the most of your e-flyer purchase, and get that listing sold! Market your listing with the industry leader! NO hidden fees, NO memberships! For over 12 years, ZipYourFlyer has supported Real Estate Agents. We are a company founded by Agents for Agents. Offering the best designs in the Industry with email flyers starting as low as $29.95. Follow us on social media for discounts, real estate tips, and our latest designs!